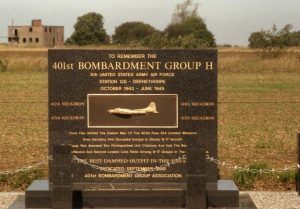 Situated on elevated land just one mile south-east of the Brudenell family’s historic seat at Deene Park, Deenethorpe Airfield is what remains of RAF Deenethorpe, a World War II air base used by the USAAF’s 401st Bombardment Group, from where 255 combat missions were flown against Nazi occupied targets in Europe. After the war, the site remained with the RAF until the 1960s and was then taken back by Deene Park Estate and returned to agriculture. In 2016, the estate saw the potential to enhance this prominent but exposed site, by undertaking what would become one of the three largest woodland creation schemes in England that year. 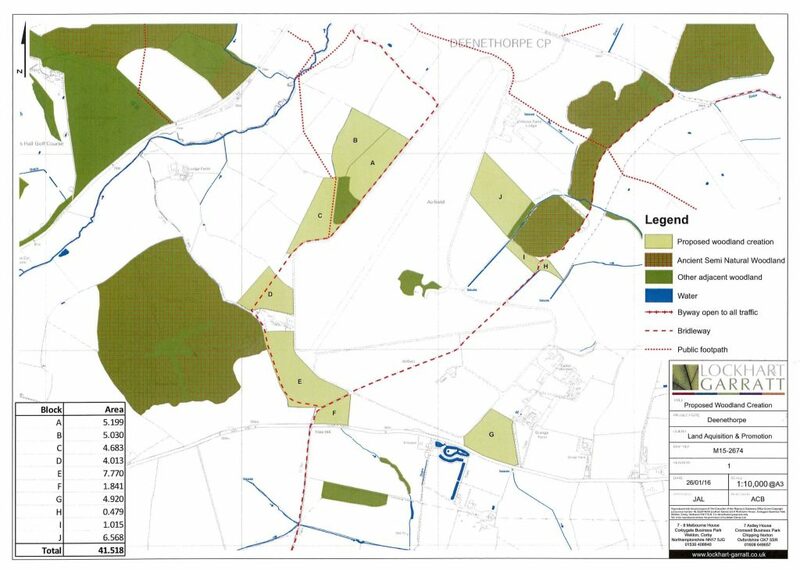 Plans were drawn up to convert 40 hectares (100acres) of arable land into woodland to link, buffer and expand the nearby ancient woods that partly surround the airfield. The new woods were designed to meet a number of key environmental policies, including wildlife habitat creation, flood prevention, water pollution reduction, and climate change abatement through carbon sequestration. At the same time, the woods will be managed to produce sustainably grown timber and fuel wood products as part of the Estate’s wider forestry business. In total, 24 species of broadleaved and coniferous tree were selected to meet the design objectives, including England oak, small-leaved lime, wild service tree, black walnut, hazel, crab apple, spindleberry, Scots pine, Douglas fir and Japanese red cedar. Planting was completed in two phases, with grant assistance under the Countryside Stewardship Scheme. The first phase took place in January and February 2017, while second phase was undertaken in November and December 2017, with early snow just preventing completion before Christmas. 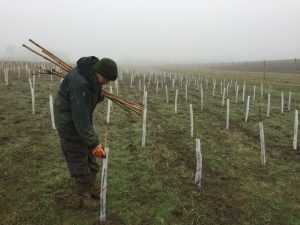 In total, 85,000 trees were planted, each one protected from rabbits and hares by an individual guard, and wild deer by a total of 7.6km (4.75miles) of deer fence. As far as possible, the trees were sourced and grown in Britain, to give them the best chance of growing well on the site. The planting was awarded to a small local contractor, who was able to take on several additional men who had recently been made redundant in nearby Corby, giving them new skills and opening up employment opportunities. Now fully planted, the trees will take 3-5 years to become established and able to grow well unaided. In the meantime, they are being cared for by members of estate staff, some of whom have received additional training and qualifications in important tasks such as weeding. 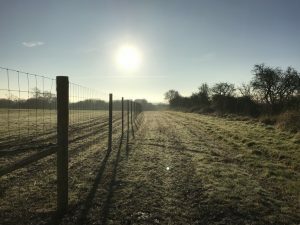 The new woodland is already making it mark in the local landscape and as it grows, it will help shape and define this important part of the ancient Rockingham Forest. 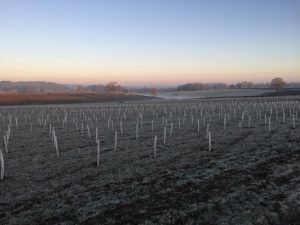 In addition, a further 8,000 new trees are to be planted just to the north, on the western side of Deenethorpe village, again to enhance the local area and further improve the setting of the village.